For three-pedal sports car enthusiasts, this may be the best news you’ll hear all year. 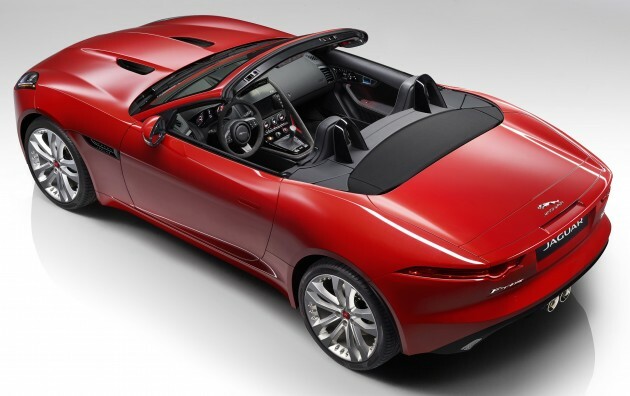 Following the announcement of all-wheel drive models comes news that the hitherto automatic-only Jaguar F-Type is getting a six-speed manual option, the first Jaguar sports car to receive one since the E-Type and the first production car since the X-Type was discontinued in 2009. The gearbox, developed in conjunction with ZF, features an aluminium alloy casing with a custom-designed bell housing. Situated in the latter is a dual-mass flywheel for lower NVH levels, as well as a single-plate dry clutch that is optimised for rotational inertia, reducing shift loads. There’s also a semi-dry-sump lubrication system that utilises a layshaft-driven mechanical pump to spray oil onto the moving components, rather than simply relying on splash lubrication. This significantly reduces drag losses, and the lower capacity of oil required (just 1.2 litres) drops weight and improves packaging. The shift mechanism has been completely optimised for better connection and feel, with a shifter throw of just 45 mm. Even the armrest has been pared down to provide more room for freer arm movement, while the brake and accelerator pedals have been ideally positioned for heel-and-toe operation. There’s one caveat, however. The privilege of rowing your own gears is only offered on models equipped with the 3.0 litre supercharged V6 – the base 335 hp/450 Nm F-Type and the 375 hp/460 Nm F-Type S – and rear-wheel drive. Sorry, no V8s or AWD, guys. Also revealed is the F-Type R Convertible that utilises the uprated 542 hp/680 Nm 5.0 litre supercharged V8 from the R Coupe, replacing the 488 hp/625 Nm V8 S Convertible. Sending power to all four wheels (a rear-wheel drive version is also available), it goes from 0-100 km/h in 3.9 seconds on its way to hitting a limited top speed of 300 km/h, exactly the same figures as on the R Coupe AWD. Some more details regarding the new AWD option, available on all but the base F-Type, and distinguishable by a taller power bulge to accommodate the extra driveshaft running under the engine to power the front wheels. The system, which adds 80 kg, defaults to a 100% torque delivery to the rear wheels, with power only sent to the front when traction is lost to ensure that steering precision is retained. There’s a new Integrated Driveline Dynamics (IDD) system, which controls AWD, the electronic (on the R) or mechanical (on the S) limited-slip differential, Torque Vectoring by Braking and Dynamic Stability Control (DSC) to optimise torque distribution across all four wheels. Also fitted to AWD models are recalibrated electronic dampers, stiffer springs and stiffer front control arm bushings. On all models, Electric Power Assisted Steering (EPAS) replaces the previous hydraulic unit. This may irk purists looking for uncorrupted steering feel, but Jaguar insists the system offers far greater tuning potential, with new control algorithms dialling out any sort of synthetic feel. The improved efficiency also drops carbon dioxide emissions by as much as 4 grams per kilometre, enabling the base automatic F-Type to dip under the 200 grams per kilometre mark for the first time on a Jaguar sports car. Rounding out the changes for the F-Type range are the new InControl Touch and InControl Touch Plus infotainment systems with an eight-inch capacitive touchscreen, standard Torque Vectoring by Braking (previously available only on R models) across the range, as well as a new optional Sport Design Pack. 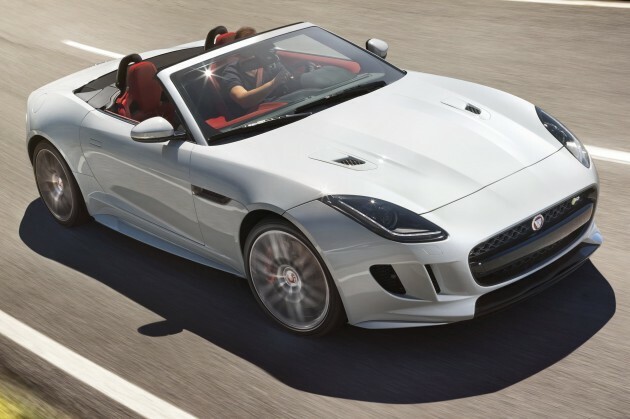 The revised 2016 model year Jaguar F-Type range will go on sale next spring. Well, nothing much can be done…. that’s the price to pay as a Malaysian. Possibly highest tax against income per capita in the world. All to feed a certain party. Good news is, at least this car now has a manual box. Looks like Sebastian Vettel in the 2nd picture. manual. even porsche doesnt give a manual. shame on them. For high-spec 911 like the GT3 and Turbo, yes no manual (anymore). But the base 911 Carrera and Carrera 4 still offered with 7MT and current Boxster and Cayman are offered in 6MT. yea…makes sense…cos the tan sri and datuk will sure buy the most expensive 911 money can buy….and they dont drive manuals anyways…. F-Type Manual V6!! I will consider to buy it! !